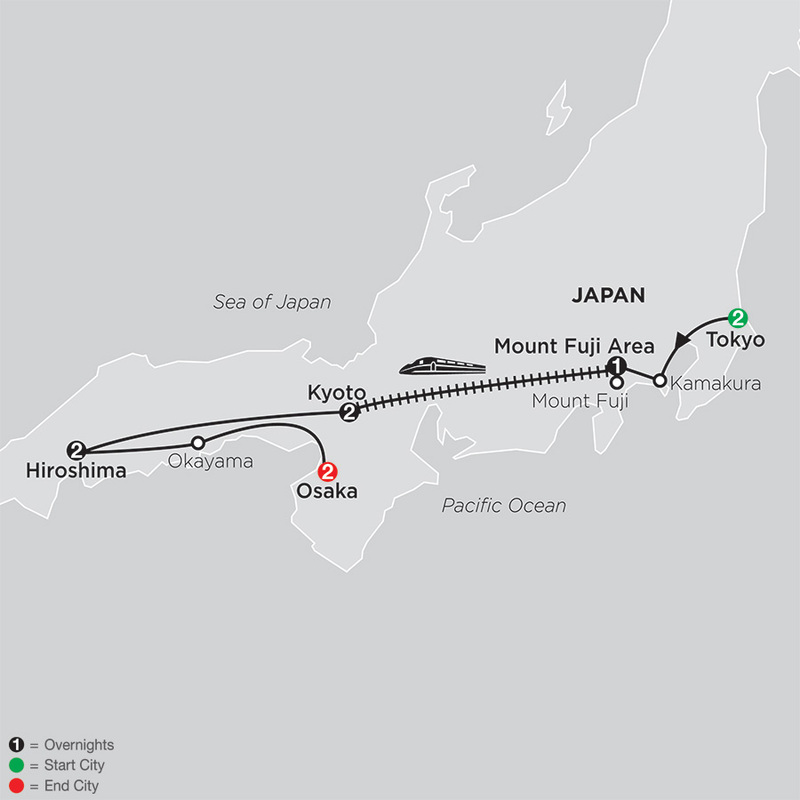 Highlights of this tour through Japan are the UNESCO World Heritage Sites you'll visit. In Kyoto, visit Nijo Castle, built in 1603 as the shogun's official residence; the Temple of the Gold Pavilion, a Buddhist temple overlooking a large pond and covered in beautiful gold leaf; and the Pure Water Temple, founded in 780 AD on the site of a waterfall. In Hiroshima, visit Peace Memorial Park and see the only remaining structure-the Atomic Bomb Dome-that predates the 1945 atomic blast. An excursion from Hiroshima takes you to the Itsukushima Shrine, built over water and known for its iconic floating Torii gate. Mount Fuji, Japan's highest mountain, is also a UNESCO World Heritage Site and has long been worshipped as a sacred mountain. You'll enjoy views of majestic Mount Fiji during your cruise on crystal-blue Lake Ashi and during your cable-car ride (weather permitting). In addition to UNESCO World Heritage Sites, famous shrines, and other historic sites, this Japan tour also includes visits to two of Japan's beautiful gardens: Koraku-En, dating to 1686 and considered one of Japan's three most beautiful gardens, and Shinjuku Gyoen, dating to 1603 when it was a feudal lord's home. Plus, you'll ride on the famous bullet train. 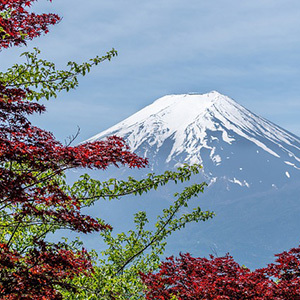 History, scenery, and fun experiences…this Japan vacation has it all! $2,869.00 Please Call, Include... Book Now!